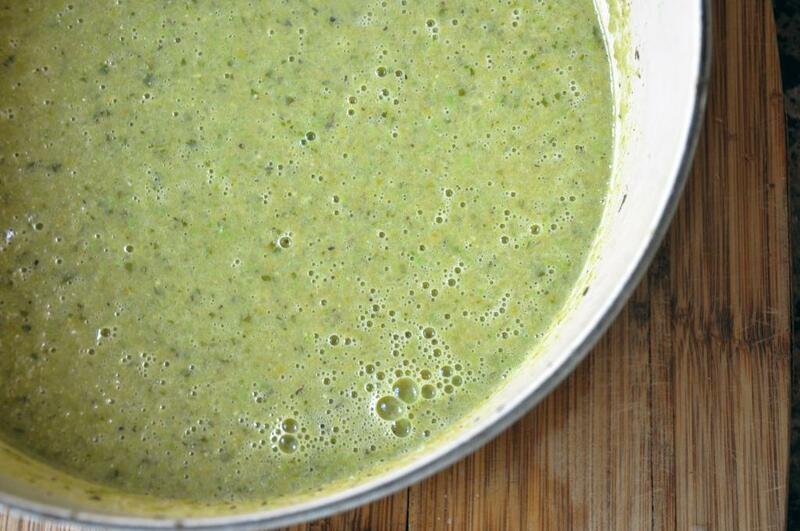 Heat the EVOO in a large saucepan over medium-low heat. 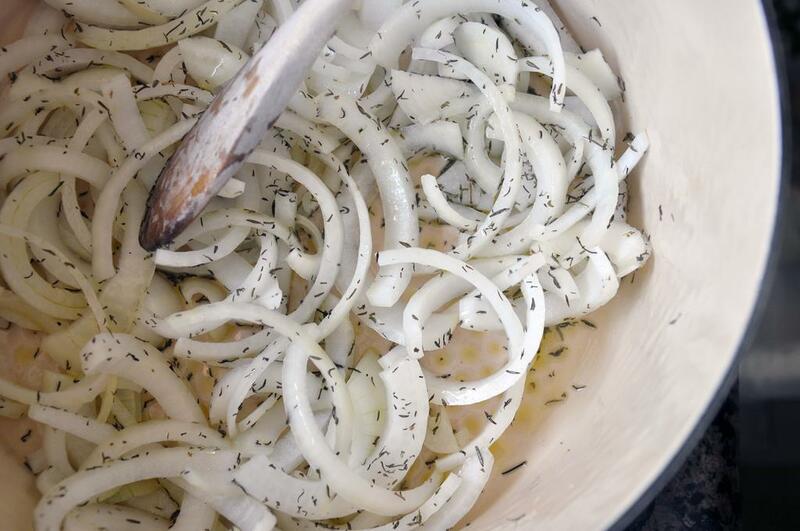 Add the onion and thyme and cook about 5 minutes until the onion has softened. Raise the heat to medium and add the wine/vinegar and simmer about 3 minutes until liquid has reduced by half. 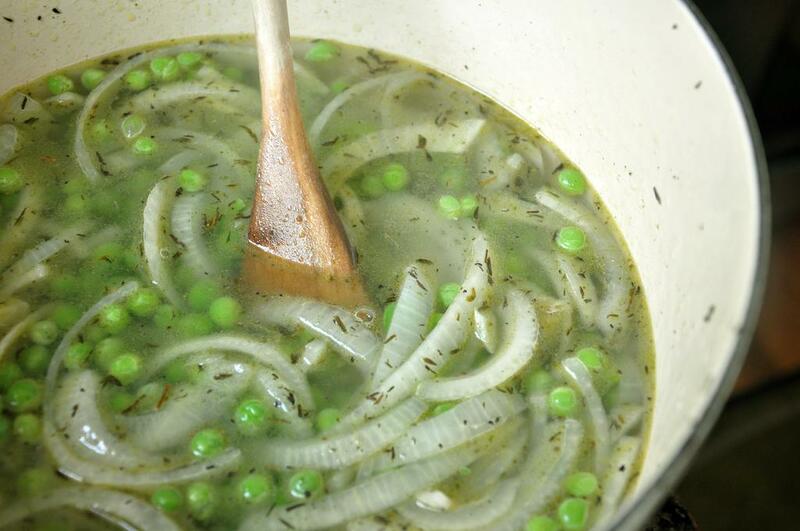 Add the broth, 4 cups of peas and a pinch of salt and pepper. Bring to a boil and simmer, covered, about 8 minutes. Add the last cup of peas, simmer 1 minute and remove from heat. Stir in the parsley. Puree the soup in a blender or food processor. Taste and season the soup with SnP, if needed. Put it back into the saucepan and keep warm over a low flame. Heat a non-stick skillet over medium-low heat. Spread four mounds of the cheese and flatten slightly. Cook until the cheese is bubbly and set on the bottom, about 3 minutes. Be careful not to burn the cheese. Slide the crisps out onto a paper towel lined plate to cool and firm up. 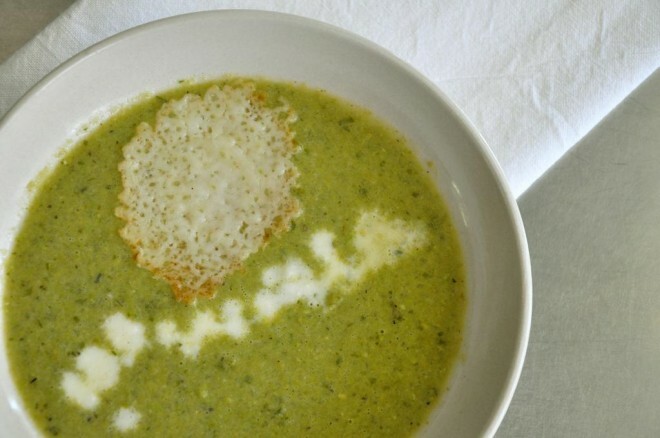 To serve, ladle the warm soup into bowls and top with cheese crisps.